Here is an AWESOME CVS Deal. The Charmin Bath Tissue is on sale for $9.99 and wyb $30 worth of products, you receive a $10 ECB. 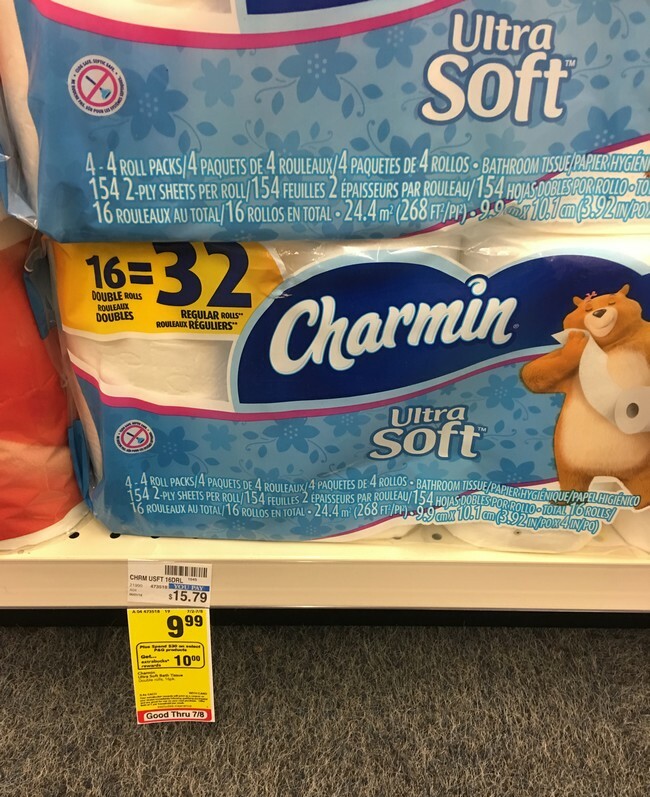 In addition, we have a $1/1 Charmin Bath Tissue Printable Coupon making them ONLY $5.66. That’s a great time to stock up and/or donate 🙂 Hurry and print the coupon before it disappears. Final Price: $16.97 for all 3 or JUST $5.66 each wyb 3!! Final Price: $4.64 for all 6 or JUST $0.77 each wyb 6!! Here is an AWESOME CVS Deal. 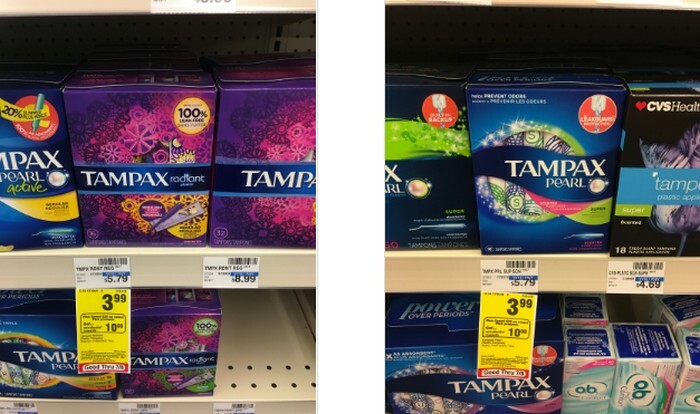 The Tampax Tampons are on sale for $3.99 wyb $30 worth of products, you receive a $10 ECB. In addition, we have a $2/1 coupon making them ONLY $0.74 each. Final Price: $5.92 for all 8 or JUST $0.74 each wyb 8!! Here is an AWESOME CVS Freebie. Our family loves Tide so I always get super excited when I find deals like this. 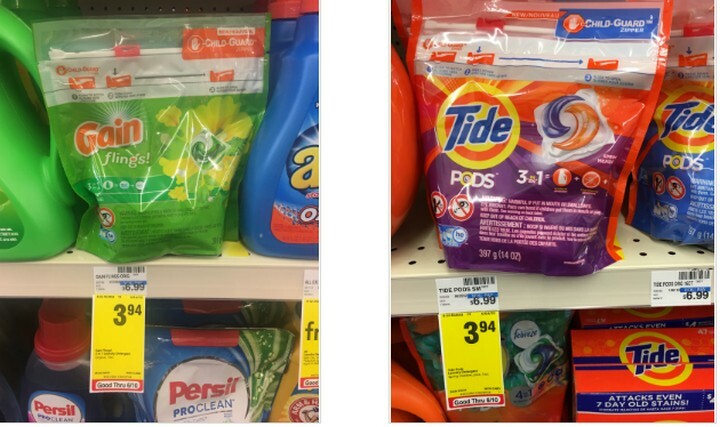 The Tide Pods are on sale for $5.44 and wyb $30 worth of products, you receive a $10 ECB. In addition, we have a $3/1 coupon making them ONLY $0.77 each. That’s a great time to stock up and/or donate 🙂 We love to use Tide at our FREE Laundry Days. Here is an AWESOME CVS Freebie. 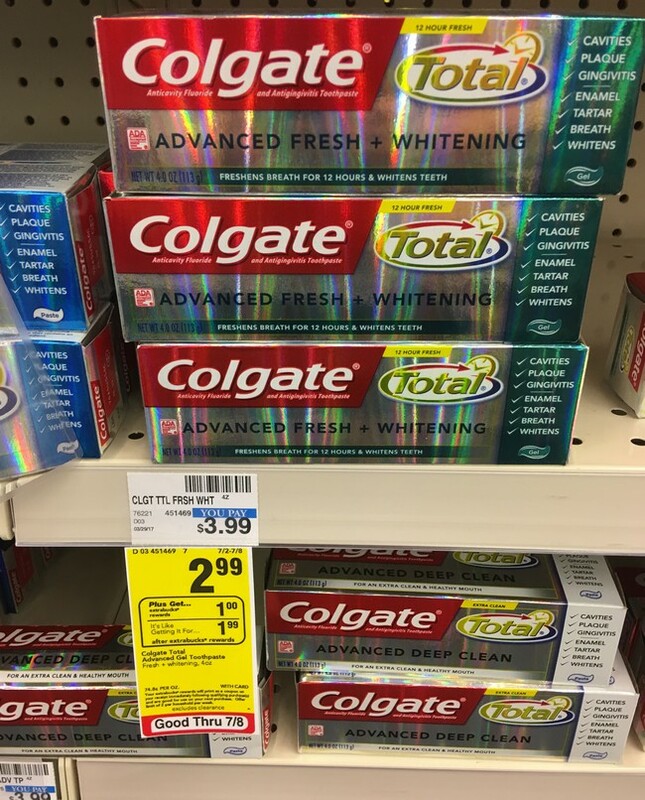 The Colgate Total Toothpaste is on sale for $2.99 and wyb 1, you receive a $1 ECB. In addition, we have a $2/1 coupon making them completely FREE. If you do not use this product, please consider donating. This will bless someone abundantly. Here is an AWESOME CVS Freebie. 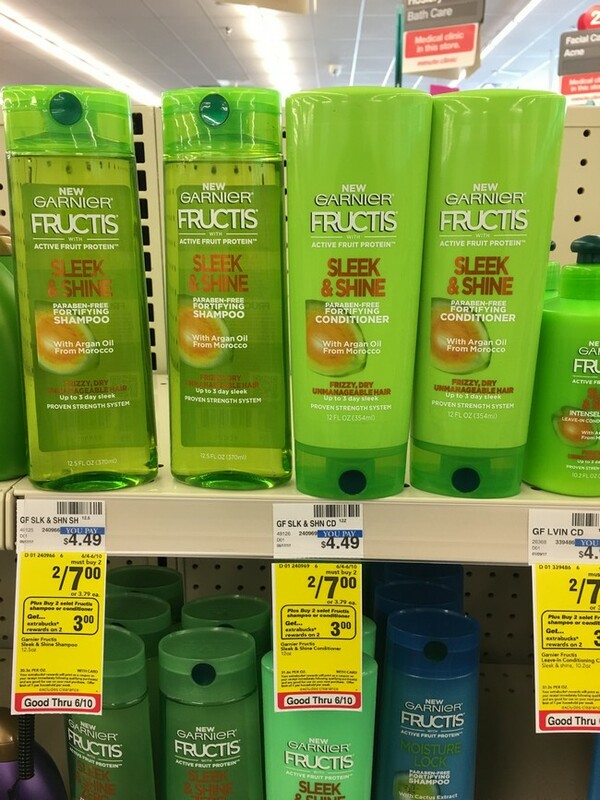 The Garnier Fructis Shampoo and condition are on sale for 2/$7 and wyb 2, you receive a $3 ECB. 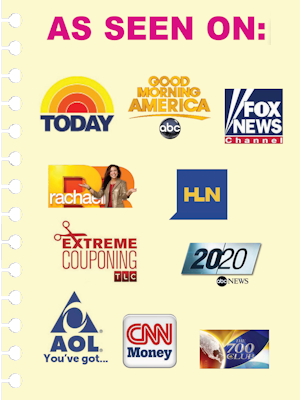 In addition, we have a $2/1 Garnier Fructis Shampoo or Conditioner Printable Coupon making them completely FREE. If you do not use this product, please consider donating. This will bless someone abundantly. Hurry and print the coupons before they disappear. If you are in need of laundry detergent, then here is a nice CVS Deal. 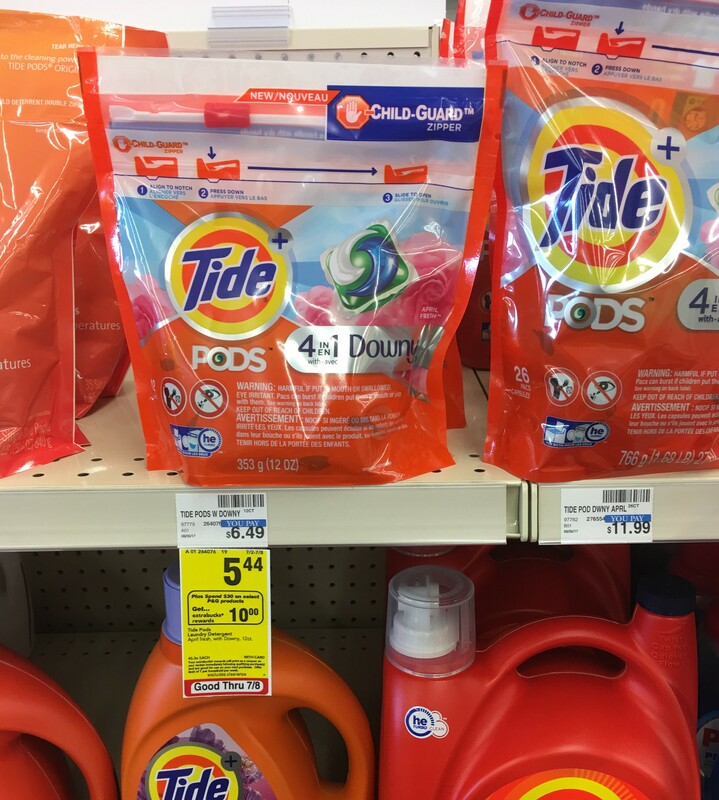 The Tide and Gain Pods are on sale for $3.94. In addition, we have a NEW $2/1 Tide and Gain Pods Printable Coupon making them ONLY $1.94. That’s a great stock up price. Hurry and print the coupons before they disappear. If you are in need of toilet paper, then here is a nice CVS Deal. The Cottonelle Bath Tissue is on sale for $9.99 and wyb 2, you will receive a $5 ECB. 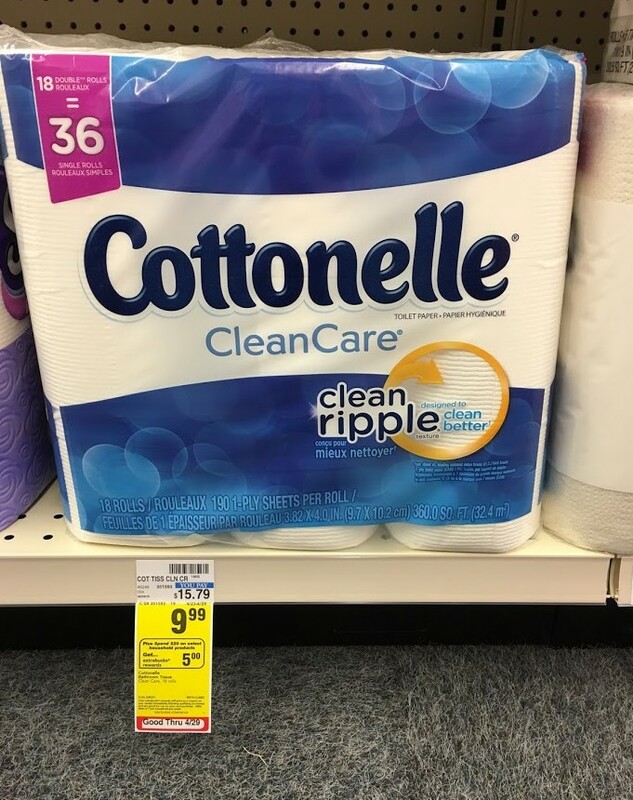 In addition, we have a $1/1 Cottonelle Bath Tissue Coupon PLUS a $0.50/1 Cottonelle Bath Tissue (Checkout 51 Deposit) [6 pack or larger.] making it ONLY $6.24 each or like paying $0.35/roll. That’s a great price for Cottonelle Bath Tissue. Here is a nice CVS Deal beginning Sunday, 4/16. 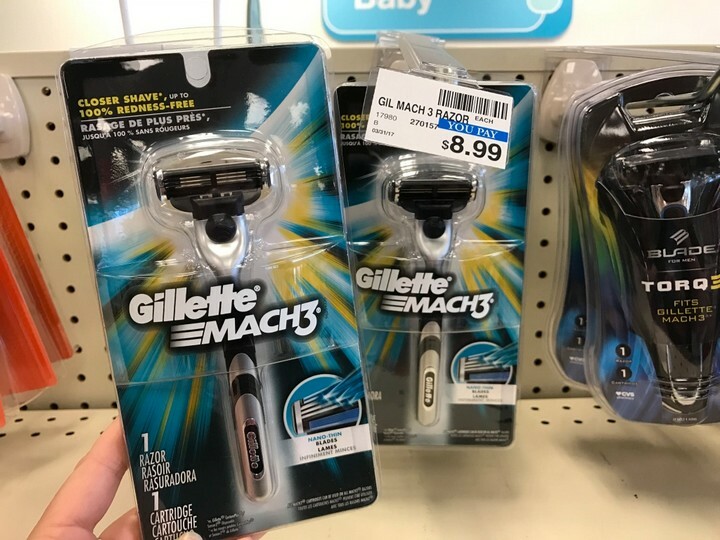 The Gillette Mach3 Razors are on sale for $8.99 and wyb 2 Gillette Razors or Refills, you will receive a $10 ECB (Limit 1). In addition, we have a $3/1 Gillette System Razor Printable Coupons making them ONLY $0.99 each. Final Price: 4 for FREE + a $1 moneymaker! Here is a nice CVS Moneymaker beginning Sunday, 4/16. 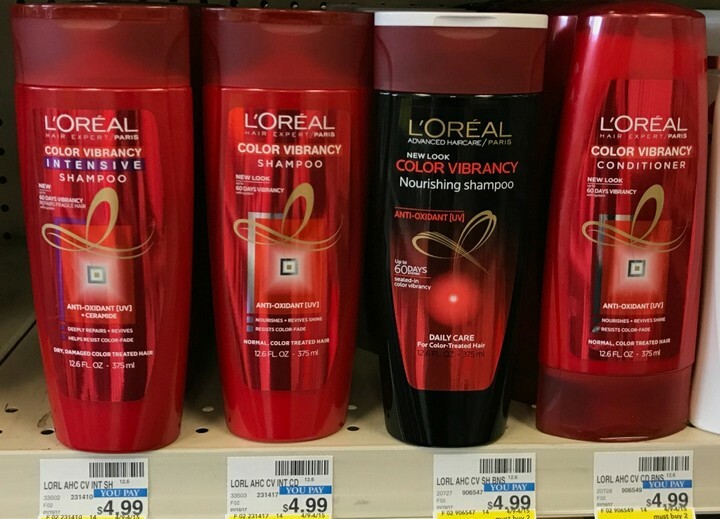 The L’Oreal Advanced Hair Care is on sale for 2/$8 and wyb $15 on select L’Oreal Hair Care Products, you will receive a $5 ECB (Limit 1). In addition, we have a $3/1 coupon making 4 for FREE + $1 moneymaker. This is a great deal, plus makes for a great donation item 🙂 I mean seriously who doesn’t LOVE FREE?! Here is a nice CVS Deal beginning Sunday, 4/2. 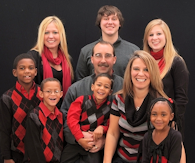 You will be able to fill an Easter Basket for cheap this year. 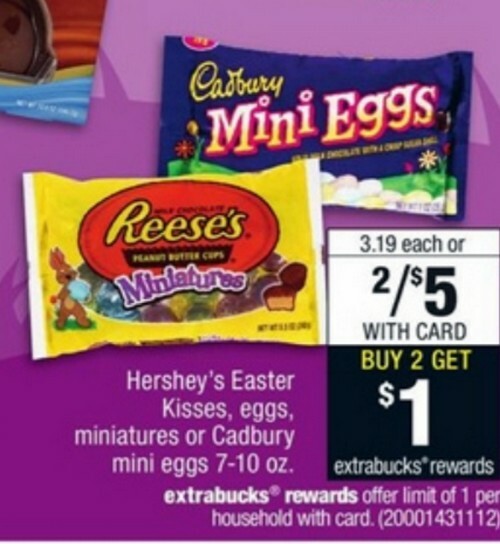 The Hershey’s Easter Kisses, Eggs, Miniatures or Cadbury Mini Eggs 7-10 oz are on sale for 2/$5 and wyb 2, you receive a $1 EB. In addition, we have a $2/2 Hershey’s Easter Bags 7-11 oz. CVS Store Printable Coupon making them ONLY $1 each. Just in time for Easter. Did you also see you can snag the Easter M&Ms for ONLY $0.75? Just scroll down and you will find that matchup. 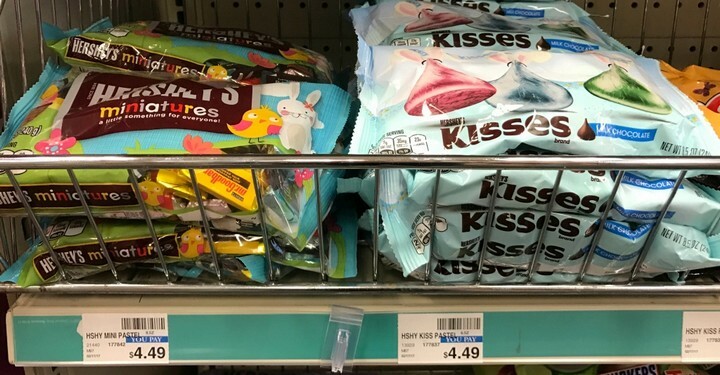 Both of these Easter Candy deals are super easy to snag. Who else is loving all these deals? Here is a nice CVS Deal beginning Sunday, 4/2. 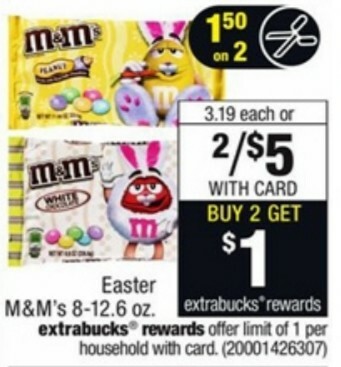 The Easter M&Ms are on sale for 2/$5 and wyb 2, you receive a $1 EB. In addition, we have a $1.50/2 coupon PLUS $1/2 Easter Seasonal Mars 8-11 oz., Dove Eggs 7.94-8.97 oz., Mars Chocolate Minis 9-11.5 oz. or Starburst Jellybeans 13.1 oz. CVS Store printable coupon making them ONLY $0.75 bag.